If you have several hats then you might have winter hats, summer hats, waterproof hats etc which may need to be stored out of season. Storage hats short term is not so critical whereas storing hats for longer periods of time certainly has an effect on the longevity of your hat. Keep them protected from dust, humidity, sunlight, mould and spillages. A hat box is the traditional method for storing hats with many available online, though if money is an issue, you can easily make one yourself. In short, store your hat upside down on its crown, on a clean surface or in a hat box. Do not store it right side up on a flat surface, as this can cause the brim to flatten. Some hats come with a box supplied which is a bonus since it will be made to fit. Otherwise you will need to search online for one. You’ll find there is a great selection from vintage hat boxes to the ultra modern hat box. Hat boxes are of course the best place to store your hat long term as no light, humidity or dust gets in. The only drawback would be if you have many hats since the hat box does take up shelf space. 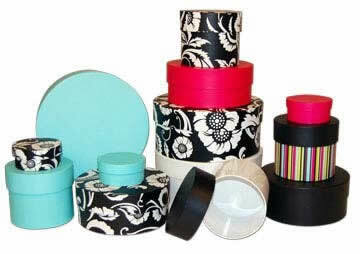 There are stacking hat boxes which may help if space is an issue. A Hat Stand is good for storing hats short term as well as your coats and umbrella. Typically kept in your front hall, they are usually made of wood and standing at least 5′ tall, they have a single pole making up most of the height, with a sturdy base to prevent toppling and an array of pegs at the top for hanging your hats. There are many traditional and modern hat stand designs available to suit your home decor. Smaller Hats Stands are available for displaying hat in a retails situation or they can be used to display your hat on a table or such like. For smaller houses a fixed hatrack with space for coats and hats should do the trick. Hats can be hung from the top peg while coats can use the lower hooks. 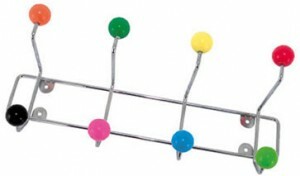 There are plenty of interesting hat rack designs available to choose from.